There’s no better place to study than in the heart of Bloomsbury. Bloomsbury is an historic area in central London long associated with art, culture and education. Most famously, The Bloomsbury Group, a group of radical and progressive artists led by Virginia Woolf, were based here and influenced by the area. 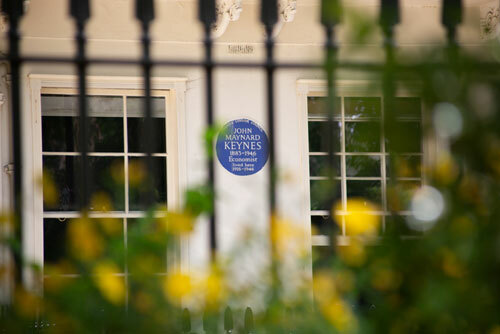 Blue plaques can be found on the houses of many influential thinkers in WC1 – one of our favourites is John Maynard Keynes, an English Economist who revolutionised economic theories. Today, Bloomsbury is the hub of many world-famous museums and educational institutions (including our own!). 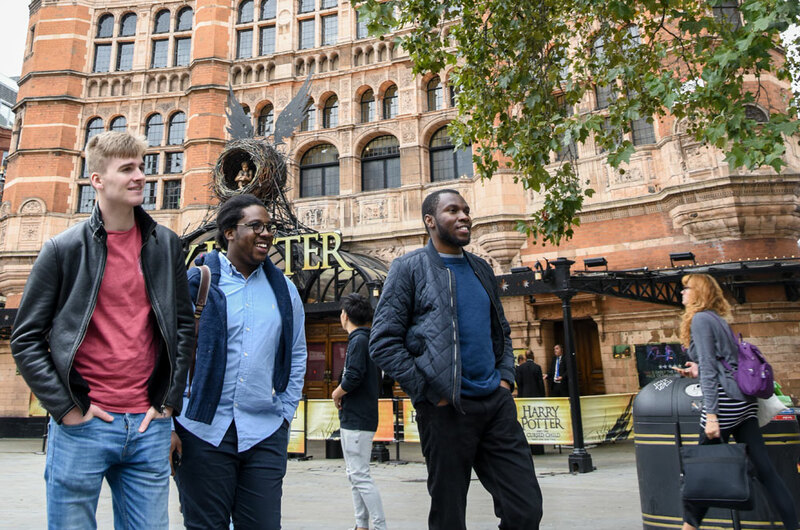 On our doorstep, you’ll find Senate House, Birkbeck College, the Royal Veterinary College, University College London and Royal Academy of Dramatic Art (RADA). Not to mention that The British Museum is directly behind our Bedford Square building. This is a place of ideas where a community of students and scholars create a uniquely intellectual environment. These are inspiring streets. In addition, our central location in London’s West End is ideal for exploring the capital. We’re just around the corner from Tottenham Court Road and Oxford Circus, and a 10-minute walk from Soho and Covent Garden. Whether you want to explore the many shops, try new delicacies in the hundreds of restaurants, or explore London’s nightlife, you’ll never have a dull moment. And, if you’re looking for a tranquil escape from the buzz of London, you’ll find many parks and gardens nearby, such as Russell Square, Regent’s Park and Hyde Park. And did we mention the excellent transport links? Our closest tube stations are Goodge Street, Holborn, Tottenham Court Road and Oxford Circus. And, to explore other UK cities north of London, Euston and King’s Cross St Pancras train stations are just 10 minutes up the road.